Discussion in 'Pokémon Games Discussion' started by Comatose23, Jun 7, 2010. Even though there are now seven different evolutions for eevee, I'm still not satisfied. 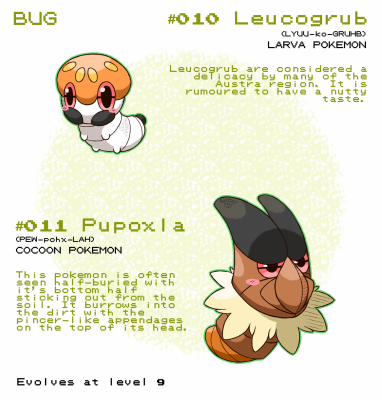 So I figured I would start this forum so we could try to think up new evolutions for eevee, just for the heck of it. To finally fill out the special half of the types, I want to see a Dragon Eeveelution. I think it would look vaguely like a wyrm, however, with vestigal wings. I know most of us want a dragon eeveelution but what if they made one where Eevee evolves with levels for once. Not like Glaceon or Leafeon where you have to be in a specific place but one where you could be anywhere, level up, and Eevee evolves. As it has already been said in this very thread, and in a few topics preserver issues, based off of the pattern of previous Eeveelutions a Dragon type is most likely at the moment. Also, a dragon type does not have to have wings, so it could work perfectly fine without or without them. Not sure if they'll give us any in Gen V, though, seeing as they just gave us two last Gen. Flying type would be sweet, for sure. 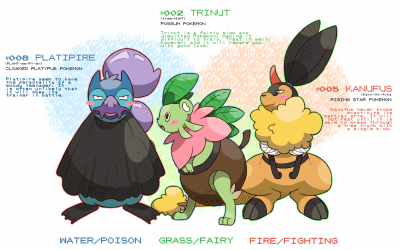 Fighting type would be interesting, but I don't know if it'd be a good Pokémon. In addition: LUNCHEON, THE SNORLAX-EEVEE HYBRID. I can very well see a Rogue-sort Fighting type, kind of like the Cat People race in DnD. Fighting doesn't mean smash-and-crash, it can mean stab-and-grab as well. In a sense they already did that Espeon & Umbreon However If you read its Pokedex entry saying it evolves from radiation only it is very doubtful that will happen. I Also believe in the Dragon Eevee evolution just give it a Dragon scale & u get your Drageon!! The two Eeveelutions that I want to see most would be Poison and Ground. I just like the idea of a little Eevee being trapped underground with no way out, or stuck in a vat of toxic waste and then suddenly evolving and saving itself. I also like the idea of Eevee not needing to adapt to anything at all and just evolving like a regular Pokemon at a certain level. I don't know if I would really want a Dragon type Eeveelution. Eeveelutions and Dragon types are like the bread and butter of Mary Sue-ish RP characters, so to have a Dragon type Eevee evolution... I feel like I'd just see it way too much and get bored of it. IF THEY MAKE A STEEL-TYPE EEVEELUTION, I HAVE THE RIGHT TO BE ANNOYED. Poison: I've seen a sprite splice somewhere with a twist with umbreon and seviper. I would like something like that, a giant blade on its tail, maybe a scorpion like design. A few names come to mind: Toxeon, Veneon, and Poiseon. Evolution: Poisoned by a particular pokemon. Pokemon varies with each nature. Steel: Basically I could either see it as a cyborg like creature, with pixelated red and black eyes, completely clad in armor, or I could see it with armore covering what looks like a larger version of Eevee, with an axe for a tail. Names: Titaneon, Steeleon, Metaleon (emphasis on the a), or Armeon. Obvious, maybe trading with steel coat, or teaching iron defense. Dragon: Basicaly a demon tail, some dragon wings, maybe a horn and some fin like things for the ears. Names: Draceon, Drageon, Dragoneon, Draconeon, or Wyvereon. Evolves with 5 dragons and 1 Eevee, or defeating 20 dragons. Normal: Basically just a larger version of Evee, maybe with a smaller mane, a bushier or smaller tail, maybe longer, and a more developed face. Names: Eeveon or Evoceon. Evolves after all evolutions have been obtained and cancelled evolutions to the evos that can be stopped. Battled 1 of each evolution. Tunduli, the Potasseon name is sha-weet. It's not obvious, but it suits the Steel-type wonderfully. As for a rock type, I don't think it would be the classic, craggy boulder. In my opinion, it would be smoother, more like obsidian, even though it technically doesn't count as a mineral. Light isn't a type, and we already have Umbreon, so I don't see that happening. Espeon and Umbreon already essentially personify the Sun and Moon respectively, and by affiliation light and dark. Rock/Ground-type... That'd be good as well, though I think they'd make it ugly. Im hoping for poison, its just such an under used typing that acts as a weakness most of the time. Second fave would be Flying. I'd imagine it to be mostly white in color. My judgement is based purely on which one would look cooler. Poison would be pretty rad, but Ghost is just better in my head. I just got a way nifty thought. ZEBRA STRIPES! What type would that be though? As my vote suggests, I'm for Flying. Not only would a pure Flying type be a much-desired pokemon, Flying types are quite flexible. They don't have to be based on a bird, they could be based on a cloud, plane or storms. I tend to any eeveelutions that arrive though, so even if a Flying type doesn't come around for a while, I'll be content. I need an all Eevee team, so I voted flying. OMG Shiro thats the image that inspired me lol. 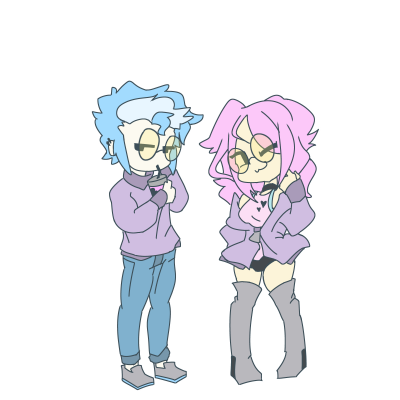 Anyway, I just think it would be a cool thing to have. for names, Aireon,Cloudeon,Skyeon, or Wingeon. Which one? Breezeon? Toxeon? Or Spectreon? I thought a Fighting type would be good. My sister made this name for a fighting-type eeveelution called Champeon or Champion. Breezeon lol. 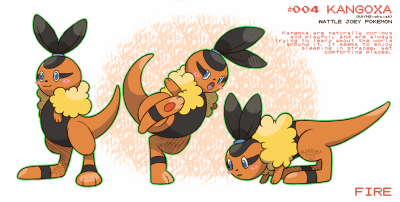 Anyway for dragon, maybe a scaled eevee..
A fighting eeveelution would be epic, they should call it "Rumbleon" its always an idea I had for a fakemon but if they put it in the game, I'd be happy, but then it might steal Flareon's thunder with Physical attack, and they'll probably make it faster, but in balancing that out it'll have a lower attack stat, and you can always give Flareon a speed item like the quick claw. So yeah, FIGHTING EEVEELUTION ALL THE WAY! I'd prefer a ghost type eeveelution. I think the name Spireon would be an awesome name (and also that seems the general consensus on other parts of the internet XD)! Or perhaps Appareon. Though a dragon type would also be just as cool. In My opinion, I think the eveeloutions will never end, because even if they run out of types they will just make new ones. I don't think so, actually. Everybody on 'Charms pretty much agrees that there will be no new types, so only the ones that haven't been used yet will be filled in. It would be no point in making other ones for the same type or even evolutions, for one thing it would make for too many PokeMon (17 times 2 is 34, plus Eevee :s). I can easily imagine a Ghost type Eeveelution (Muerteon!) But whenever I imagine a dragon-type Eeveelution, it always becomes Vaporeon for some reason. A steel type would be beastly (Magneseon!). For some reason, I'm just seriously doubting the possibility of a dragon type, though. But, hey, anything could happen. Probopass proved that.